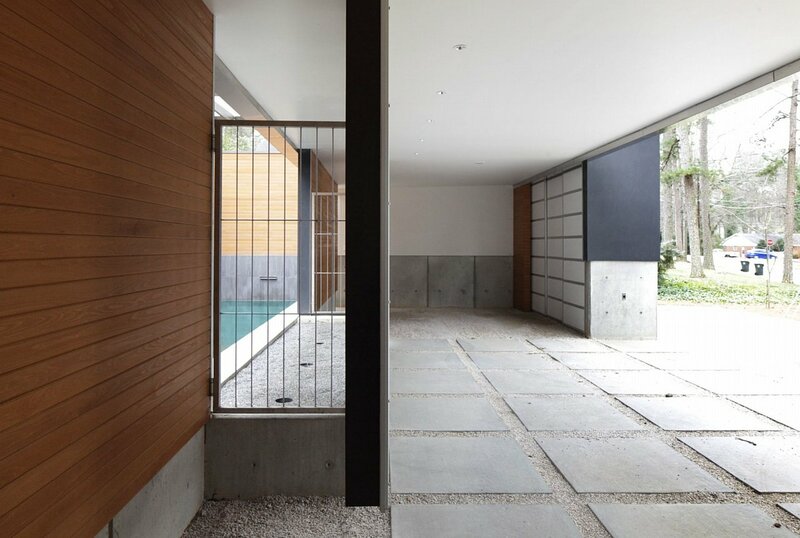 Award-winning local architect designs the modern minimalist house of his client’s dreams. The architectural landscape in Raleigh may lean to the traditional, but the modern architecture presence is a burgeoning market with distinguished roots. 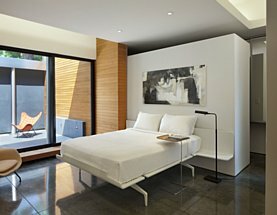 So when an insurance executive was looking to find a modern, minimalist, and sustainable house to call his own, he knew just who to call. The homeowner first met John Reese, architect and founder of REESE ATELIER IGNITE, when he was looking into buying a raw unit in downtown Raleigh’s Hudson condominiums. Reese, who was working at Clearscapes, PA at the time, was the lead architect behind the Hudson. 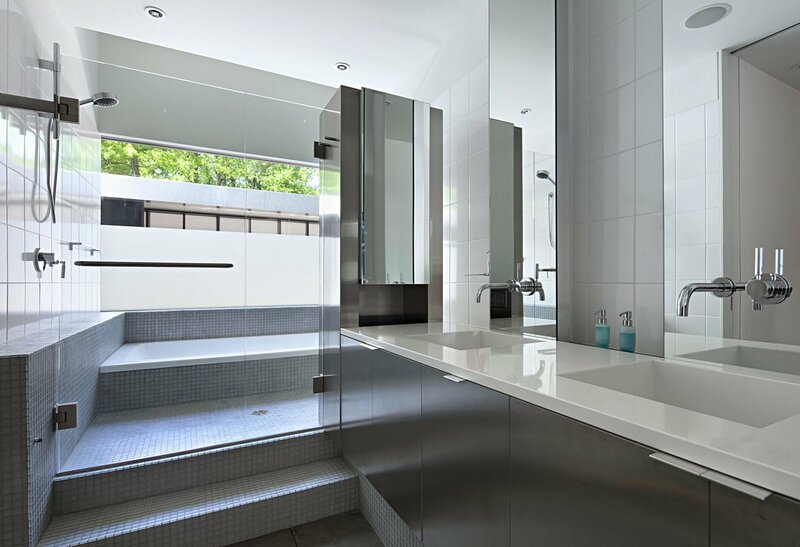 Candidly, he explained to the potential buyer that the cost of doing an interior upfit to any unit could be well over the price of building a new home from the ground up. As fate would have it, the homeowner noticed a rundown rental property off Banbury Road. Upon showing it to Reese, the architect says he convinced him it was the perfect spot for the modern, minimalist-style home he envisioned. “While I’m normally not a fan of tearing down houses, I felt a new home would be much more sustainable in the long run,” Reese says. Will Alphin of Rebuild, formerly with Alphin Design Build, was in charge of the construction. 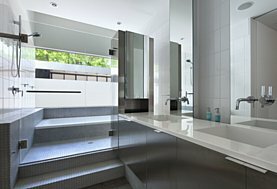 “I knew I needed a very highquality contractor to complete the construction of this highly complex design,” Reese says. The private residence stands out in this suburban neighborhood full of traditional, mid-century dwellings that are nestled amid old growth pine and undulating earth. Completed in 2007, the home took a year to build and includes 2,508 square feet of heated space in addition to 1,825 square feet of open-air outdoor space. 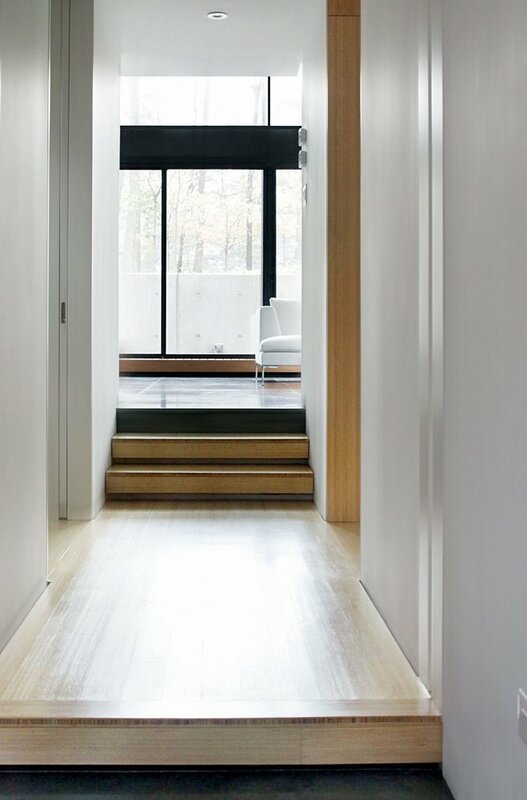 The modern entryway welcomes a clear transition from exterior to interior spaces, which include a den-living-kitchen area, two master suites, and a home office. 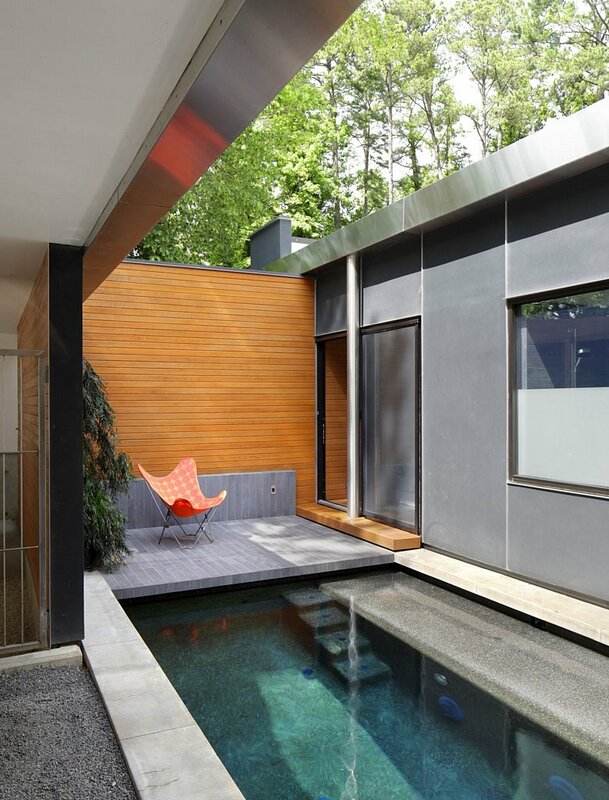 These are integrated with an open-air exterior complete with a private court, lap pool, and carport.“The design is rigorous, yet kinetic in its spatial sequence, contrasting relationships and careful use of controlled daylight,” Reese says. 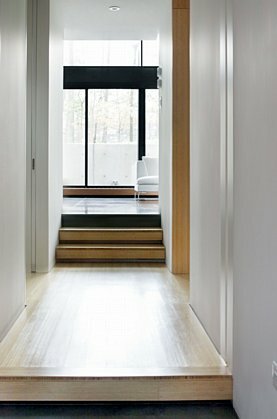 Certain features and elements make the house truly unique. For example, instead of using two-byfours, the home was built using structural insulated panels, which Reese described as “the ice cream sandwich” of insulation. He says construction was quite the spectacle with the panels arriving on huge trucks before being hoisted by cranes. Other materials include cast-in-place concrete, handtroweled and color-integrated Charleston-Green stucco, commercial storefront glazing, and polycarbonate roof panels. The floors are heated through a geothermal well system; rainwater is collected through an underground cistern; even the chrysanthemums have a dedicated misting system. Reese says he is guided by the late American architect Louis Kahn’s design philosophy. “You emphasize the big picture, you prioritize the details, and you let the middle work itself out.” Kahn’s style was monumental and monolithic, and he was famous for his meticulously built works and heavy buildings that didn’t conceal their weight, materials, or how they were assembled. 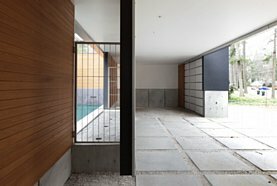 Reese was recognized for his astonishing work on this incredible house when, in 2012, he was awarded the inaugural George Matsumoto Prize. 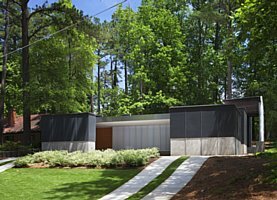 The award is North Carolina’s highest honor for modernist residential architecture and features $3,500 in awards, a blue-ribbon jury of internationally-known architects, critics, and designers, and online public voting. 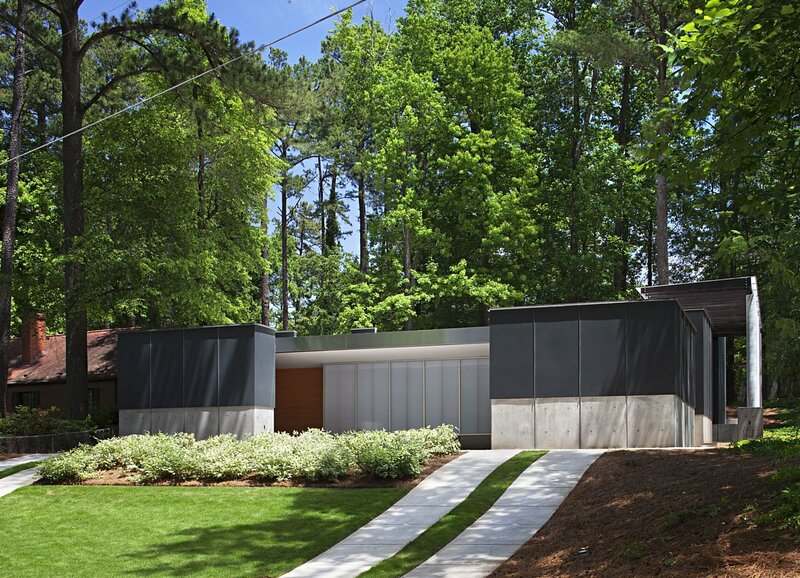 North Carolina Modernist Houses (NCMH) created the prize in honor of Matsumoto, one of the founding faculty members of North Carolina State University’s College of Design, where Reese serves as an adjunct professor of architecture and visiting critic. The accolade showcases exceptional modernist architects.